You also get several handfuls of melee weapons for when you inevitably run out of ammo and/or chickens. The Big Hammer and Butterfly Swords seem like they'll be the most fun, but Danny Trejo fans can also cause a little carnage with the Machete. Madfinger says that there are now 30 different weapons and 150 gameplays in Dead Trigger 2. If you play throughout the holidays you might notice some limited-edition Christmas presents, though the developers are keeping mum on their contents for the moment. 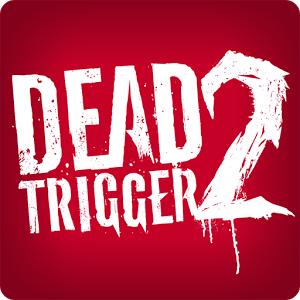 The original Dead Trigger is also receiving an update, primarily to add support for more high-resolution phones and tablets. It also updates the game to remove a bug in the equip menu and refreshes support for Facebook, Twitter, TapJoy, and Chartboost. Rest easy, holiday travelers - you'll have plenty of reason to ignore your friends and family this yuletide.